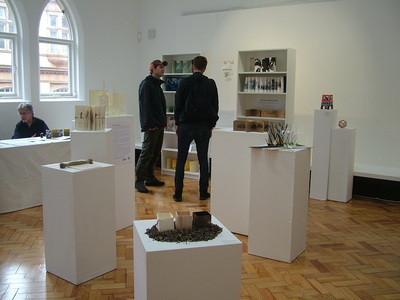 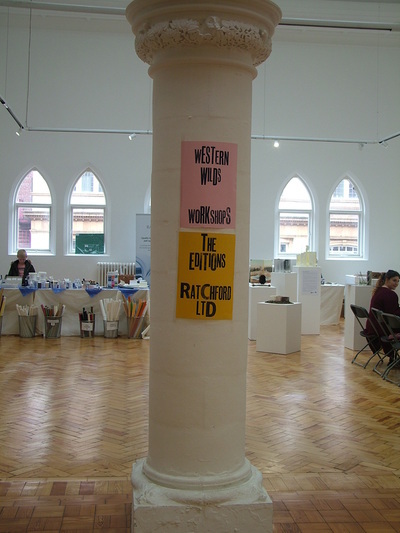 We changed the set up somewhat in 2015, making the side gallery into a space mostly for the sponsors (G F Smith and Ratchford Ltd), the lovely Western Wilds exhibition of work from an international collaborative project between Wirral Met Fine Arts and Brigham Young University Utah (for more information about the project, go to www.westernwildscollaboration2014.blogspot.co.uk), and a series of very popular workshops. 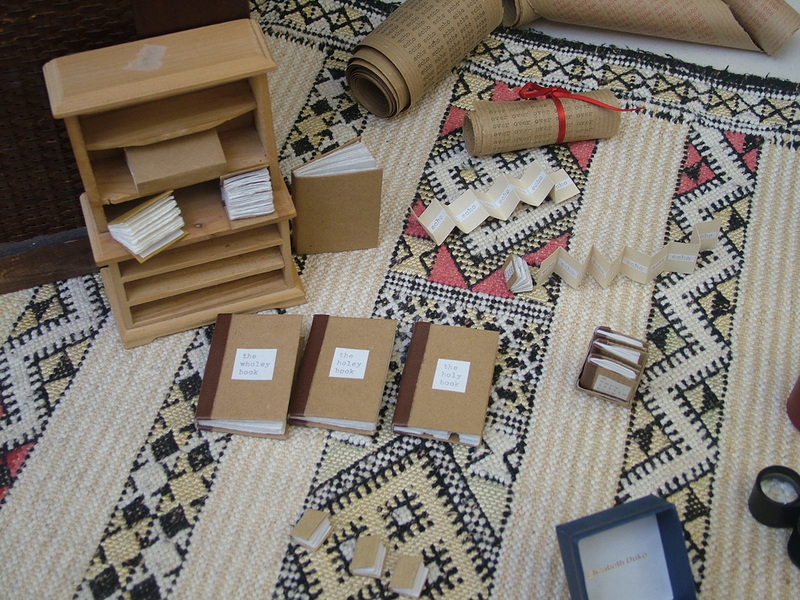 The Lost Dictionary entertained people by asking them to choose an obscure word, beautifully letterpress-printed on to cards, and then providing the definition from a 19th century dictionary. Tucked away in a corner on the other side of the main gallery was Gemma Lacey's Reading Room, a cosy space where people could take the time to study a selection of works from the fair, loaned by exhibitors, and leave their comments on the library cards provided - it was a total success with visitors and exhibitors alike, and Gemma might take her Reading Room to other fairs. 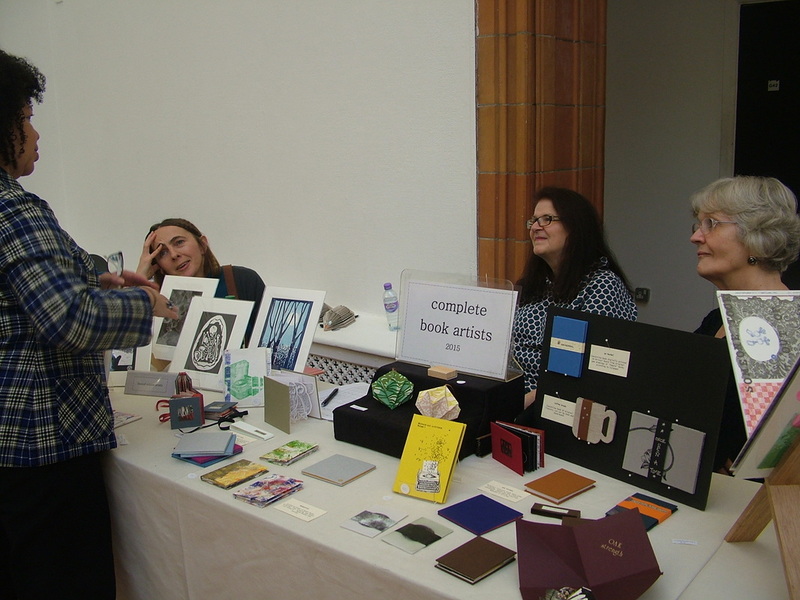 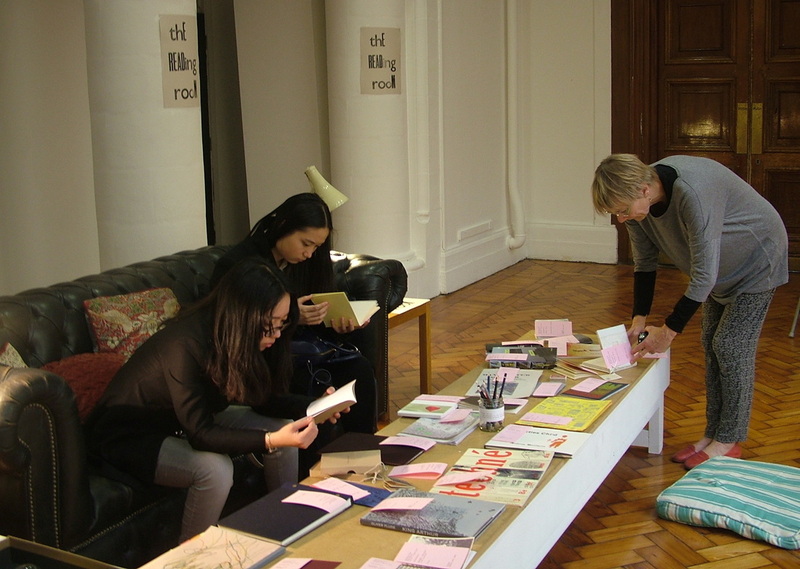 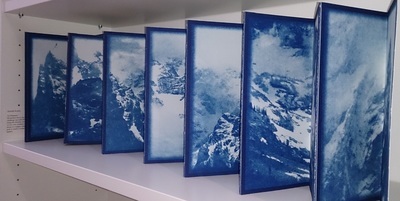 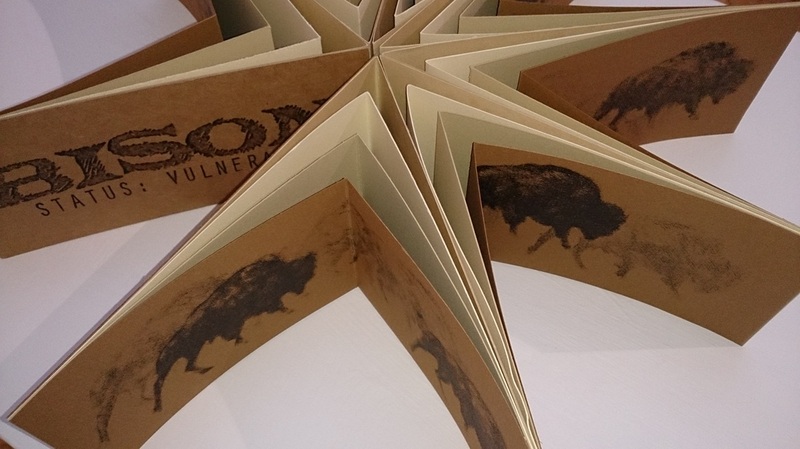 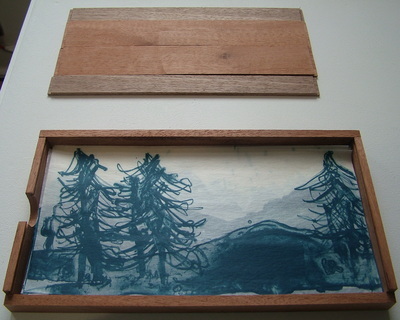 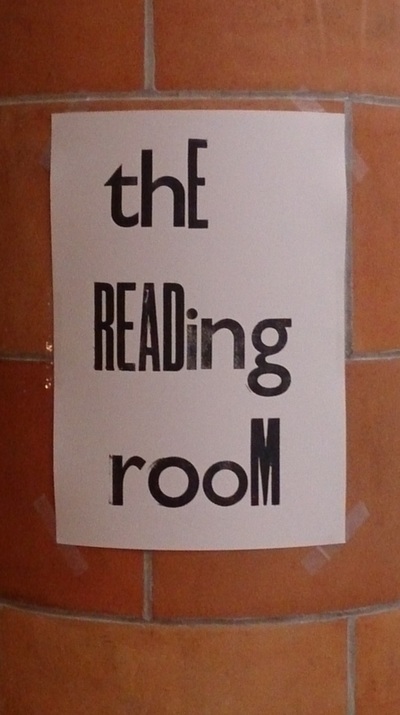 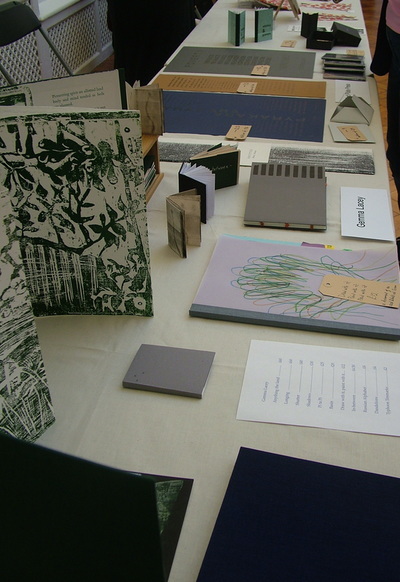 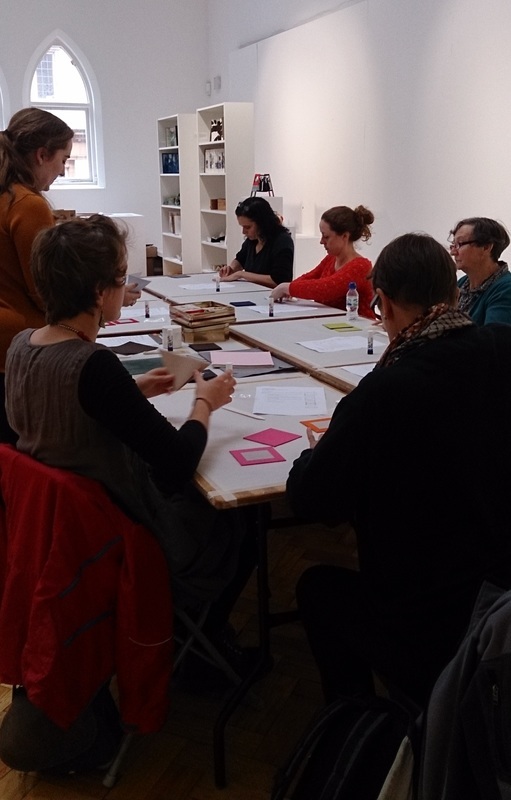 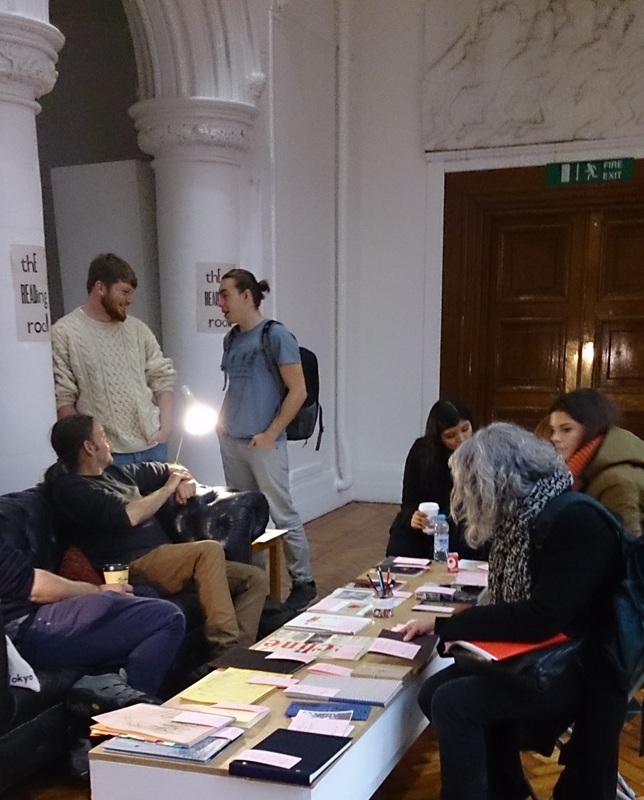 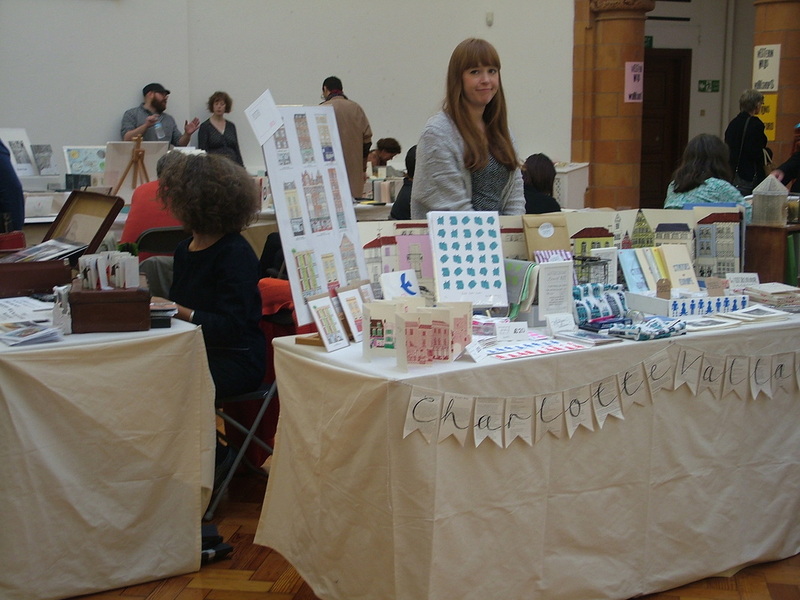 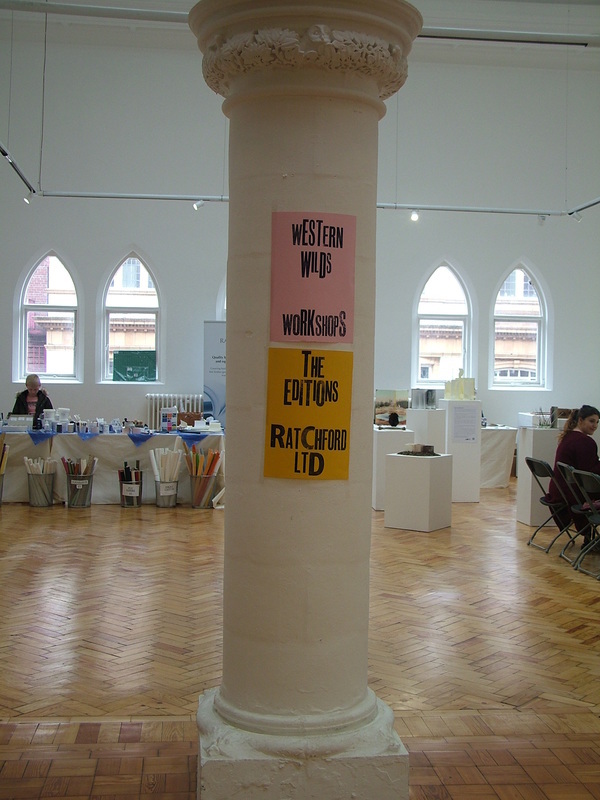 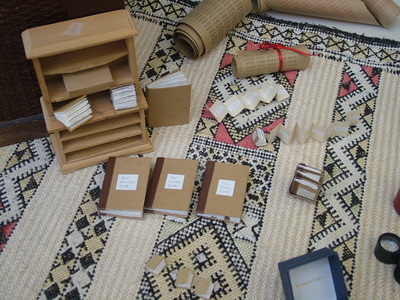 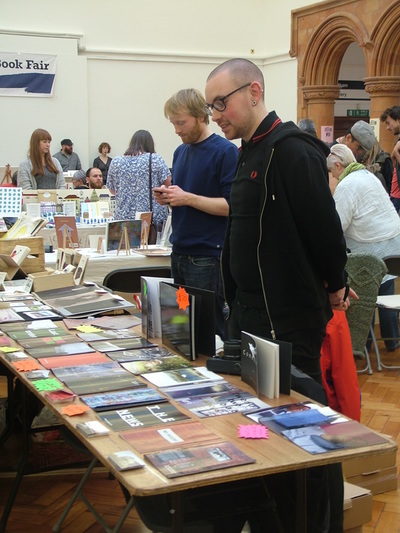 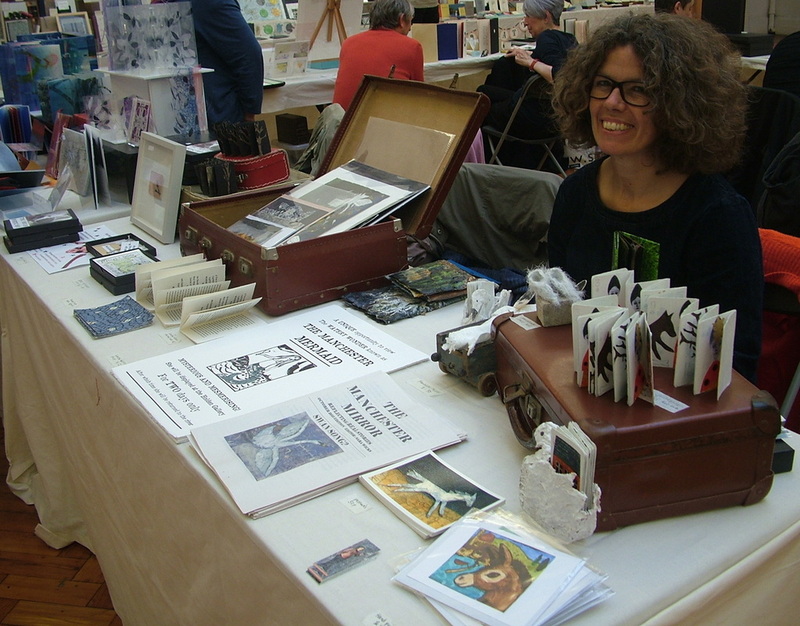 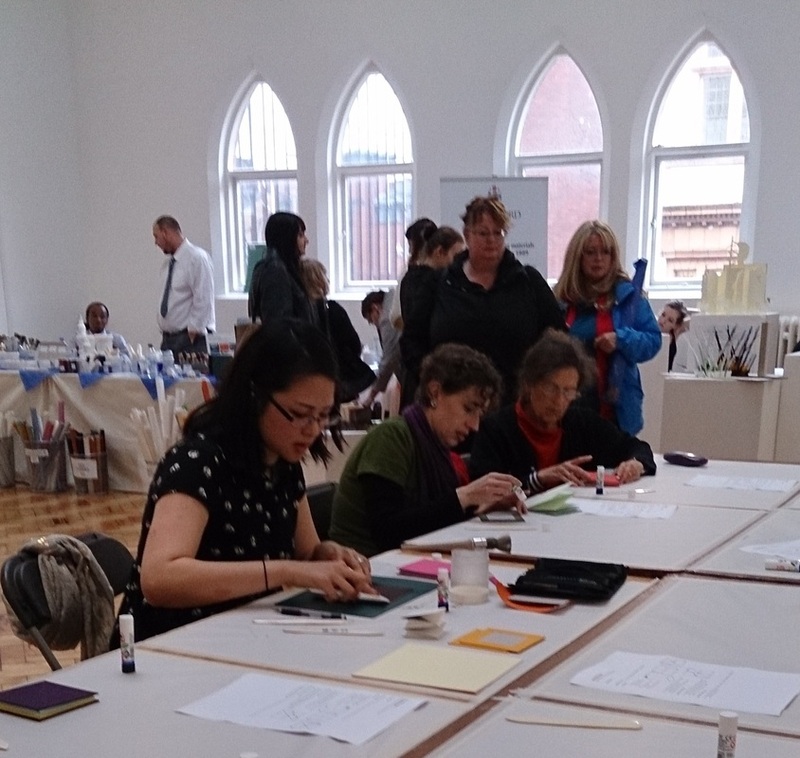 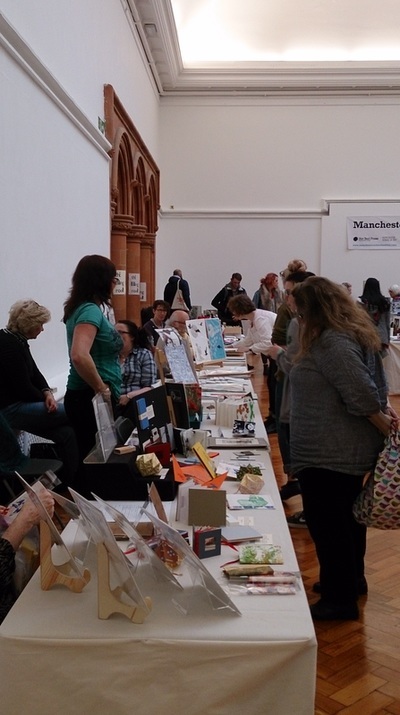 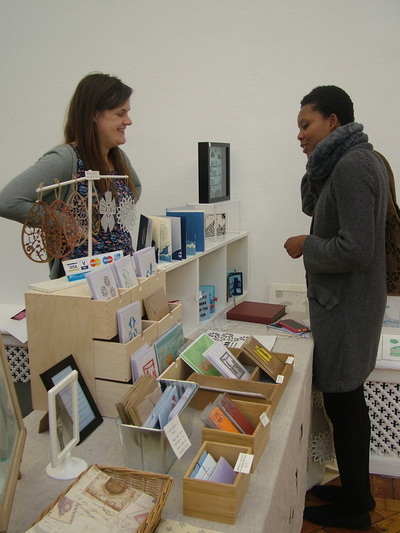 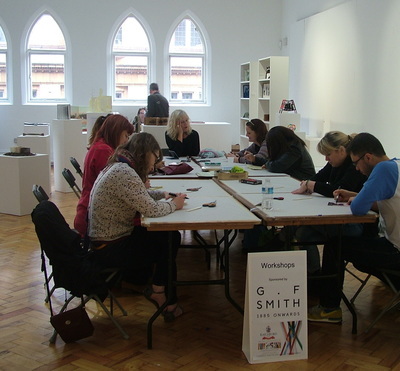 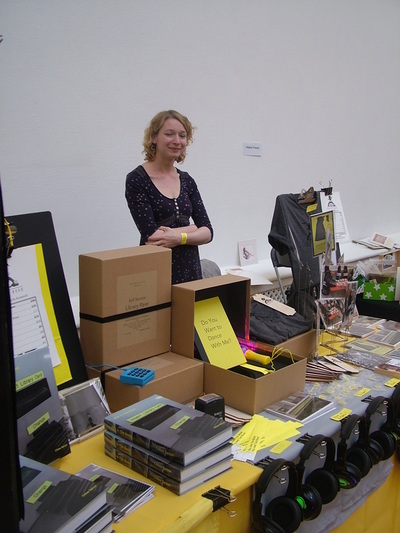 Across the All Saints park, in the main library, MMU's Special Collections Library generously showed a selection of their artists' books to coincide with the fair, and gave talks to introduce visitors to the collection. 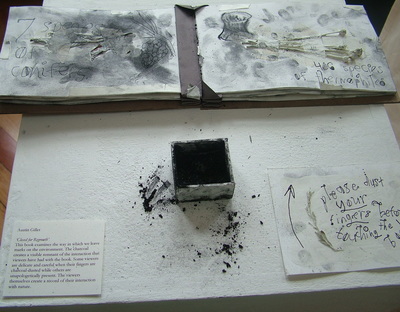 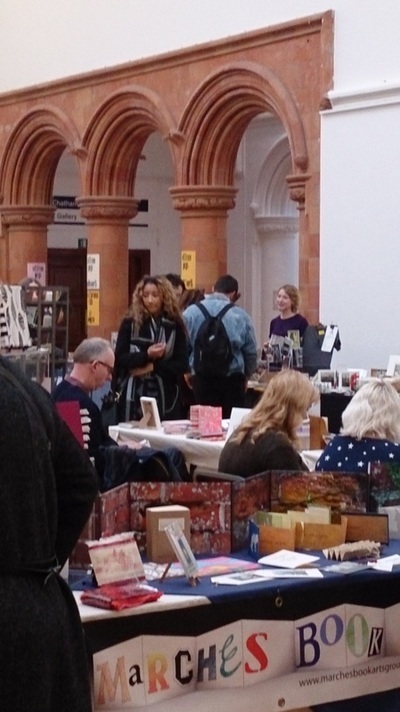 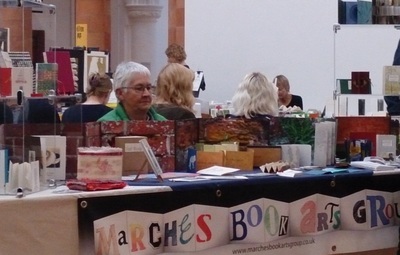 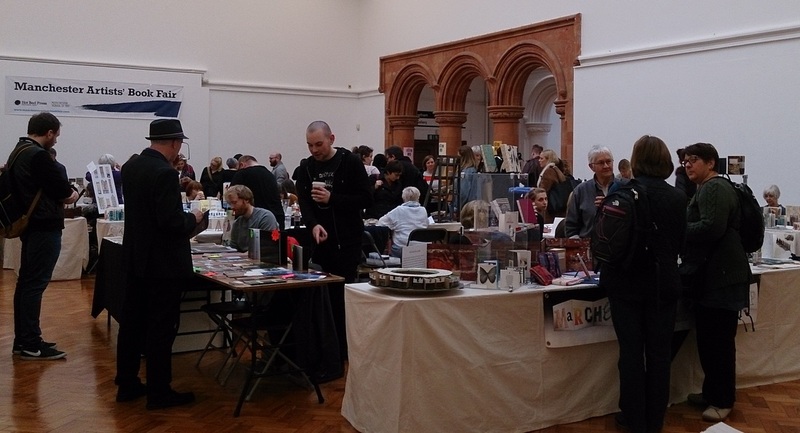 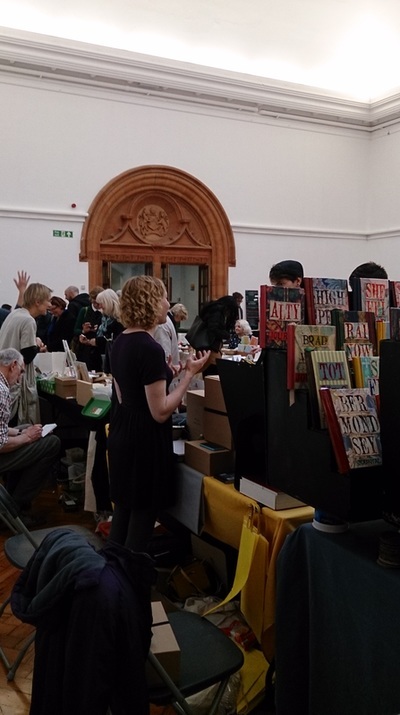 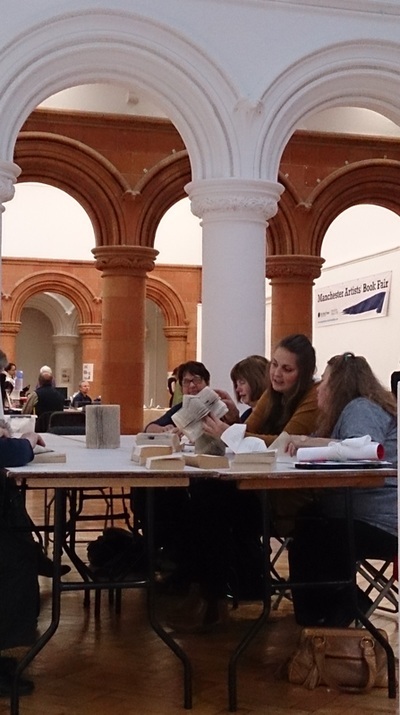 And as ever the main gallery was filled with a glorious range of book artists from around Britain, keen to show off and talk about their work with visitors. 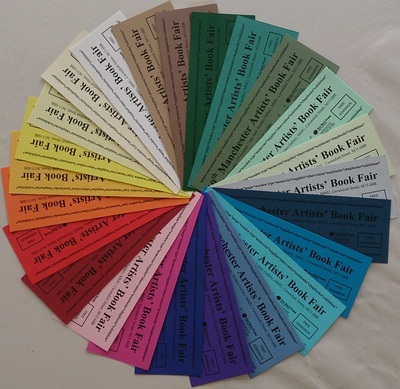 Photos from the 2015 fair below.